So it seems that all I have been posting about is furniture! I'll try to add a little more variety for y'all. 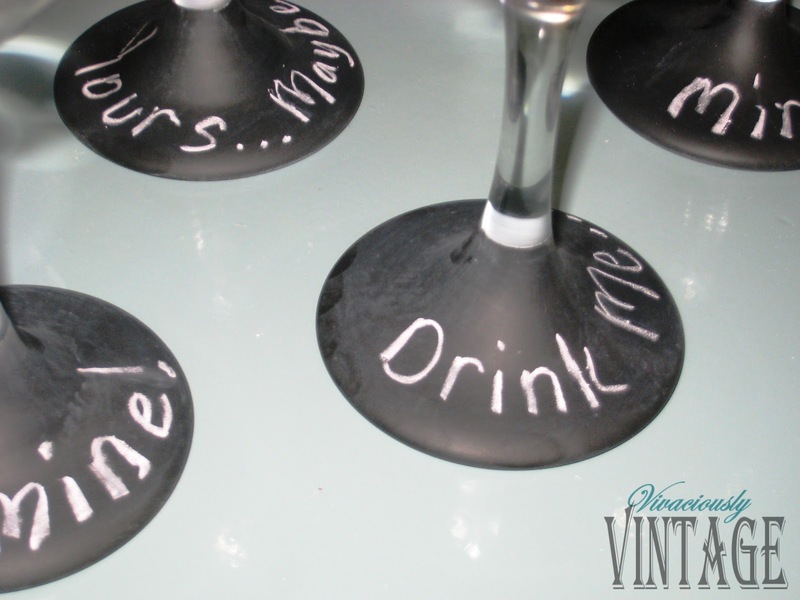 I have been seeing these chalkboard wine glasses all over Pinterest. 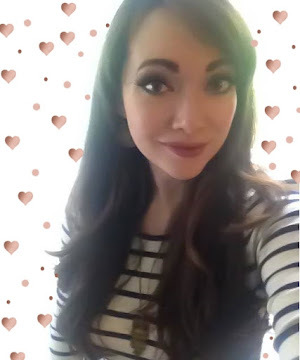 I thought it was high time to make my own. I actually made these with the idea of selling them, mainly because we already have a set of super expensive awesome wine glasses! Sadly, I keep drinking a little too much at once and breaking them. So our set is thinning out. These might end up as ours! So anyway, here is my version of how to make these babies! Enjoy! After purchasing a set of wine glasses from Walmart, I lightly sanded the bottom portion of the glass after placing painter's tape on the stem. I have seen many different versions of these glasses, but I prefer as little chalkboard paint on the glass as possible; therefore, I taped as low on the stem as I could. This way, you do not experience that rough feeling (not to mention potentially getting chalk all over your fingers!) when holding your glass. Yes you're supposed to hold a wine glass on the stem, not the upper glass area! I followed the primer up with two coats of the chalkboard paint. Then remove the tape. 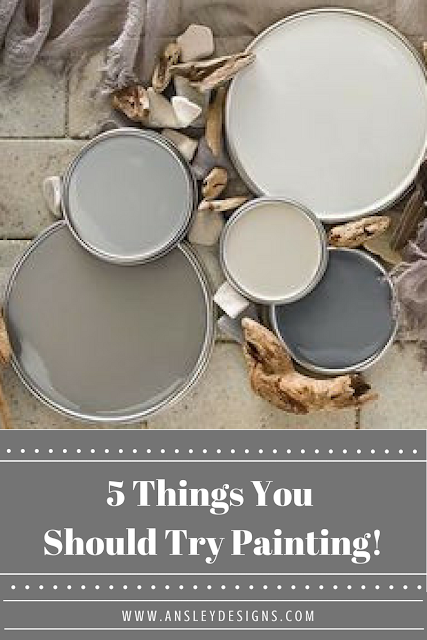 Every time I see something about a new chalkboard or chalkboard paint, I read that you are supposed to prime the entire surface with the side of a piece of chalk. I believe this ensures that when you write on the surface, it will erase more cleanly. 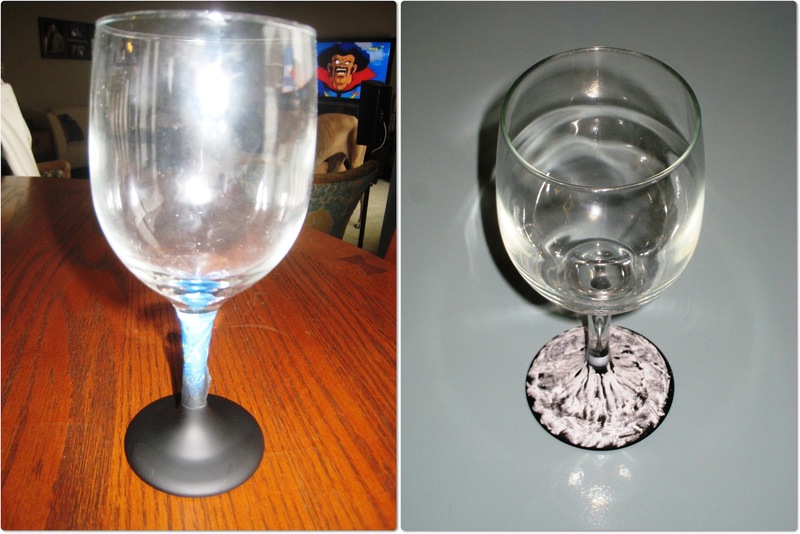 So, prime your wine glass and wipe clean with a damp cloth. 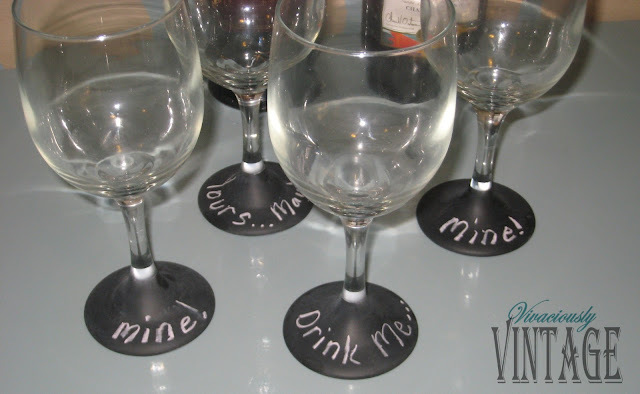 Last, write your name or a cute message on your chalkboard wine glass, pour your favorite wine, and enjoy! As you can see, I love wine...MINE! how cool is that!? clever idea.